Simply stated: Summer vacation has a negative impact on academic performance. In the book Influences And Effect Sizes Related To Student Achievement (updated 2016) by John Hattie and Greg Yates, 39 studies were used to rank the effect of summer vacation on student achievement. The findings using this data are posted on the Visible Learning website. They noted that summer vacation has one of the greatest negative effects ( -.02 effect) on student learning. To combat this negative impact, many teachers in middle and high schools are encouraged to create discipline-specific summer assignment packets. These packets are an attempt to equalize academic practice for all students during summer vacation. 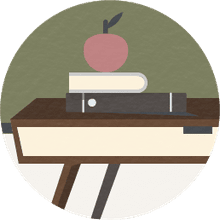 The summer assignment packets that teachers distribute at the end of a school year are designed for students to practice a few hours every week throughout the summer. What happens in reality, however, is that completing the summer packet often turns into a contentious activity. Students may wait until the last possible moment to do schoolwork or lose the packet entirely. Additionally, depending on the grade level, subject, or teacher, summer work packets vary in quality, length, and intensity. Examples of high school summer assignments on the Internet vary from two pages of geometry that can be completed online to 22 pages of geometry problems that must be downloaded to complete. Multiple Advanced Placement courses, such as AP English Literature, show the disparity in summer assignments with some schools offering a choice ("Read three novels from this list") to a required five novels matched with pages and pages of worksheets. There is no standardized summer assignment packet for middle and high schools. Who Complains About Summer Assignment Packets? Complaints against the assigned summer work packets come from each of the stakeholders: parents, teachers, and students. Their complaints are understandable. Parents may argue for freedom from summer assignment packets suggesting that “My child needs a break,” or “Why must we do this to students every summer?” or "This is more work for me than for my child!" Teachers are not happy to begin the school year with a pile of summer assignment papers to grade. Despite their best intentions in creating the packets, they do not want to start the year collecting or chasing students for summer assignment work. "Parents, if the assignments are clear and reasonable, support the teachers. When your child says 'I’m bored' (what parent hasn’t heard this on a rainy summer day?) suggest they work on an assignment." "My advice? Teachers, you need to be careful about what and how much summer homework you assign. Summer homework shouldn’t be expected to overcome a student’s learning deficits; that’s what summer school is for." "A better approach than homework is to have more intensive, small learning community-type summer school programs that last four to six weeks." Many educators who contributed to the NY Times debate The Crush of Summer Homework viewed summer assignments as a measure of accountability or student responsibility rather than an academic practice. They argued that many of the students who do not complete homework assignments as academic practice during the school year are unlikely to complete summer assignments. Missing or incomplete work is reflected in student grades, and missing or incomplete summer assignments can damage a student's grade point average (GPA). Certain mathematical practice packets may take more than one day to complete. Don't wait until the last minute! The teacher will personally consult with the student and/or parent if the student does not hand in the summer work packet on the first day of class. This work will be 3% of your first quarter grade. 10 points will be deducted for each day it is late. Seeing the impact on a student's GPA for incomplete or missing summer work, many educators argue, "If teachers cannot get students to turn in homework during the school year, especially when they see them every day, what is the chance that these summer work assignments will be completed?" But students are the most vocal group arguing against the summer assignment packet. The question "Should students be given summer homework?" was featured on Debate.org. "Summer homework takes around 3 days and it feels like the whole summer" (7th grade student). "Mostly summer homework is just a review so you don't really learn anything. I'm going into 8th grade and I'm not learning anything it's all a review for me." "If a student really wants to learn, they will do extra work, without it being assigned." "The homework should just be suggestions, to stop students from stressing out over work that probably won't even be checked." In contrast, there were some students who saw value in summer assignments, but most of these comments reflected the attitudes of students who already expected additional work from their advanced level classes. "I, for example, am going to be enrolling in an Advanced Literature course next year and have been assigned two books to read this summer, an essay to write... this pushes me to find out more information about the subject matter that will be in the course." While students who take the advanced level (Advanced Placement, honors, International Baccalaureate, or college credit courses) like the one above fully expect to engage in an academic practice, there are other students who do not see the importance keeping their academic skills sharp. While a summer packet is designed to help all students, regardless of ability, the student who may not complete the work may be the very student who most needs the practice. One of the best research-based recommendations for summer assignments is to assign reading. Rather than spending the time to create and then grade a summer assignment packet that may or may not be done at all, educators should be encouraged to assign reading. This reading can be discipline specific, but by far, the best way to have students maintain academic skills during the summer-at every grade level- is to encourage their motivation to read. 1. People who say they read more read better (Krashen 2004), therefore the primary purpose of the [summer] program is to encourage students to read more. 2. In order to encourage students to read more, the primary purpose of summer reading is reading for fun rather than for academic purposes. 3. Student choice is an important element in reading engagement (Schraw et al. 1998) including the choice to pursue personal reading interests. The results showed an increase in student motivation and engagement, leading to improved academic performance. Despite the research that proves motivation and systemic practice must be in place for summer assignment packets to help the student, many teachers, particularly at the middle and high school levels, will still assign summer work packets. Their time and effort, however, may be better spent assigning reading in their content area, and where possible, offering student choice in reading. While summer vacation allows students to have time to play and to relax, why not encourage students to practice over the summer the kind of academic practice that reinforces a life-long critical skill, the skill of reading? Allington, Richard. Summer Reading: Closing the Rich/Poor Reading Achievement Gap. NY: Teachers College Press, 2012.